Undisputed funny man, King of Bradford panto and local legend Billy Pearce stars as Buttons, best-friend to Cinderella, in his 19th Alhambra Theatre pantomime season, which delights thousands of theatregoers every year. 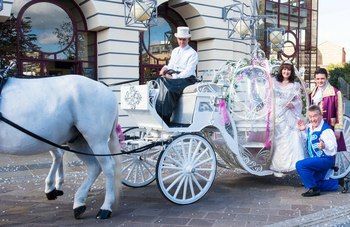 Pop singer, television personality and Loose Women favourite Coleen Nolan stars alongside Billy as Cinderella’s fabulous Fairy Godmother. Shane Nolan joins his mother Coleen in the role of Prince Charming’s Man Servant Dandini. As well as the all-star cast, ground-breaking special effects and specialist costumes once again take centre stage. Over the past six years, audiences coming to the Alhambra Theatre pantomime have been treated to an array of show-stopping effects, created by The Twins FX. In addition to The Twins’ effects, this year the Alhambra Theatre pantomime also boasts input by Mike Coltman and his team at Costume Construction, who will be providing an array of specialty costumes and props for the show. Mike and his team have been designing and making specialty costumes, props and puppets for theatre, television, ballet, opera and film as well as contributing to arena productions for 30 years with icons such as Paul McCartney and Diana Ross. Costume Construction has a long association with Qdos Entertainment and during the pantomime season, they have giants, dwarfs, dogs, crocodiles, dames and farm animals in productions across the country, from Plymouth to Glasgow and everywhere in between. This year Costume Construction has also produced costumes for Aladdin Rocks, Wizard of Oz and the Skyline Gang Show all for Bourne Leisure at Butlins. Previous credits for television include EastEnders, Coronation Street, The Royal Variety Show, The Harry Hill Show, French & Saunders, Victoria Wood, Waking the Dead, Psychoville and three series plus the national tour of The League of Gentlemen. Film work includes Love Actually, The Life and Death of Peter Sellers, The League of Gentlemen’s Apocalypse, Alien Autopsy with Ant and Dec, Angus, Thongs and Perfect Snogging and Four Lions. “There's no doubt that our all-star cast, along with Mike Coltman’s specialist costumes and props, The Twins special effects, and the return of 3D, guarantees that this year’s Alhambra Theatre panto Cinderella has something for everyone to enjoy. This is pantomime at its best! The fact that around 80,000 people see the theatre's pantomime each year is testimony to the huge affection Bradford audiences have for the Alhambra Christmas show."